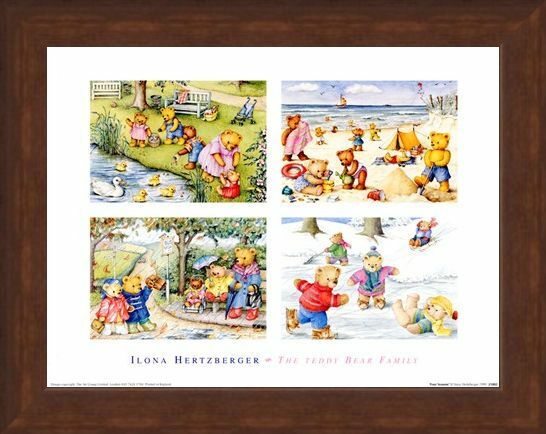 The Teddy Bear Family Art Print: If you have a child who loves the delightful artwork by Ilona Hertzberger then this particularly lovely art print of "Four Seasons" would make a fantastic edition to their wall. 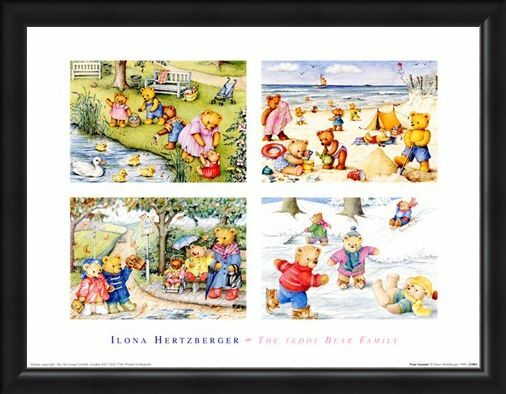 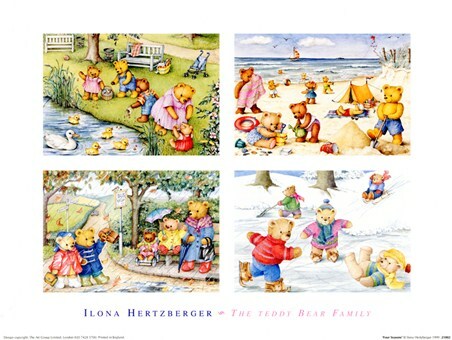 With four separate pictures of the Teddy Bear Family enjoying themselves playing in the Spring in the park, building sandcastles on the beach in Summer, going for a family stroll in the Autumn and ice skating on the lake in Winter, this absolutely beautiful art print would look good on anybody's wall. 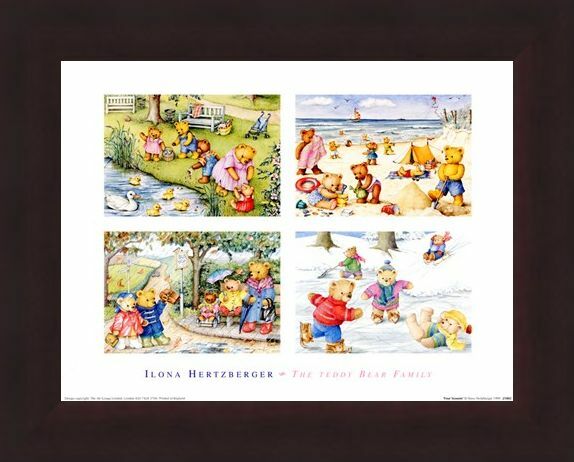 So if you know someone who loves teddies, then this would be a brilliant choice for them! 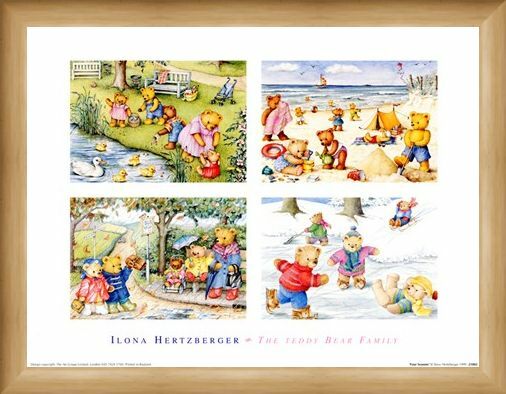 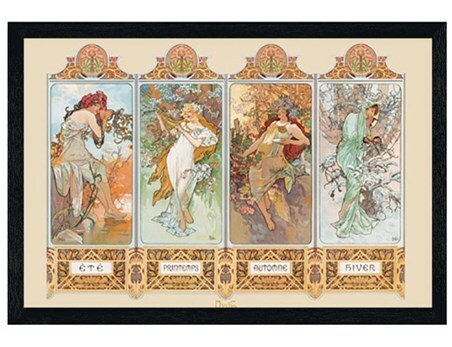 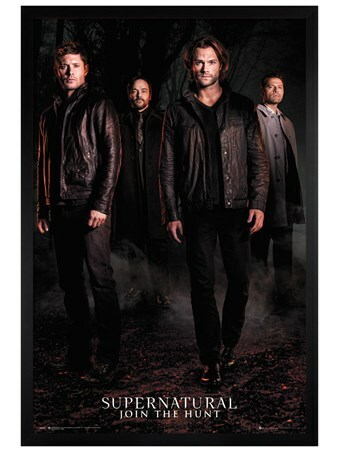 High quality, framed Four Seasons, Ilona Hertzberger print with a bespoke frame by our custom framing service.